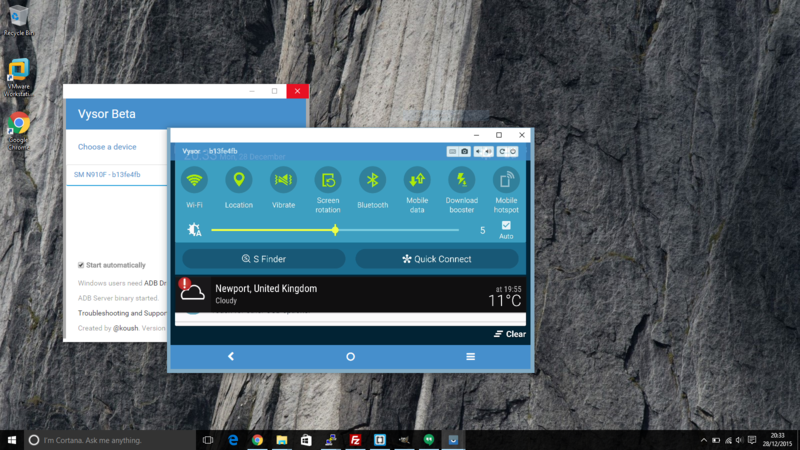 As 2015 comes to an end, it’s that time again to reflect on my favourite apps over the last year or so. It has been two years since I last published my top apps list; this time last year I’d thought about writing an article but hesitated for two reasons – 1. my fiancée and I had just welcomed a little boy into the world, as such my hands were a bit full (to say the least!) and 2. the lists I’d published in 2012 and 2013 covered a lot of what I consider to be my favourite apps even to this day. With that in mind and considering the ever-continuing development of new applications every day, I’m going to focus on apps I haven’t praised in the past, though do encourage you to check out my previous top apps lists as they’re still very much relevant today: 1 & 2. Vysor is another fantastic app from Koush, the creator of ClockworkMod, Helium and co-founder of CyanogenMod. It is another no-root solution for mirroring an Android display to a Windows/Mac/Linux and is literally the best Android mirroring solution I have used to date. Koush seems to get a mention frequently and there’s good reason; few words describe the incredible tools Koush publishes. Vysor is a beta for the time being, only really being made available to the general public already because it was leaked during testing. That said, it works very, very well on all of the devices (Samsung/Nexus) I’ve tested it with and have used it many times during Webex sessions, quick recordings and more. Using Vysor is as simple as installing the Chrome extension, enabling USB debugging on your device, plugging it in and following the prompts. If all goes well you’ll have a mirrored display of your Android device with minimal lag in no time at all. Graphics aren’t always 100% grain-free, but it is otherwise spot on. Having spent many hours fiddling with solutions like Droid@Screen and Android Screen Monitor over the years, Vysor is a breath of fresh air and is my go-to solution both for myself and for anyone who asks me for a screen mirroring recommendation. Vysor is available for free from the Chrome Web Store. NB: It will automatically install the Android app counterpart during setup. 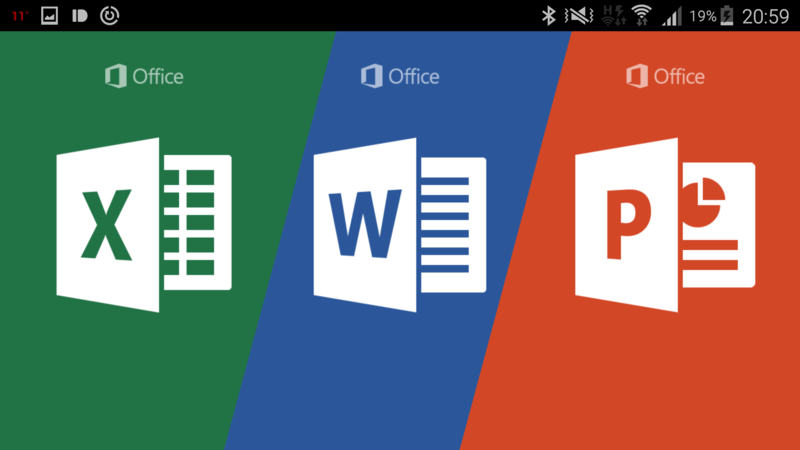 In what will likely be considered utter rubbish by the Android community at large, Microsoft’s Office for Android has been one of my go-to document editing suites over the last year or so. In this time I’d picked up a Surface Pro 3 and began to really enjoy Microsoft’s products under the new leadership of Satya Nadella. While I won’t delve into that subject much here, I will say I’ve noticed a marked improvement over Microsoft now vs what it was under Ballmer. Combined with both my free Office 365 personal subscription (due to a device purchase) and a work Office 365 account, it made sense to use a product that was heavily integrated into that ecosystem. Office for Android works best with an Office 365 account, but can also work with a standard Microsoft account for non-business users with some limitations on functionality. It offers a familiar interface and feel. I dare say in comparison to some editors available on Android it feels the most polished, too. Roughly 80% of systems at home and 30% in work are Linux based. These include web servers, app servers, file servers, virtual hosts/guests, HTPCs and are all managed through SSH day-to-day (in fact, only the HTPC has a GUI but I rarely use it). 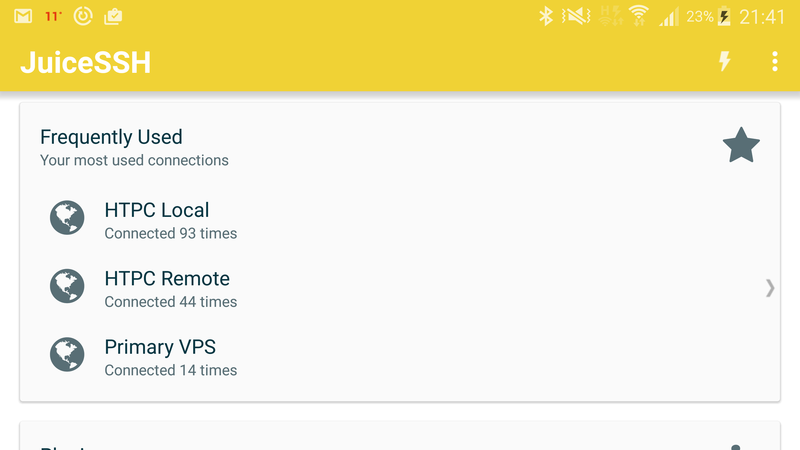 Since I definitely don’t spend my entire day behind a desktop or laptop, the amount of time I spend logging into various servers (don’t be fooled by the screenshot, I switched phones last week) means having an excellent mobile SSH client has been wonderful and Juice SSH ticks all the boxes. 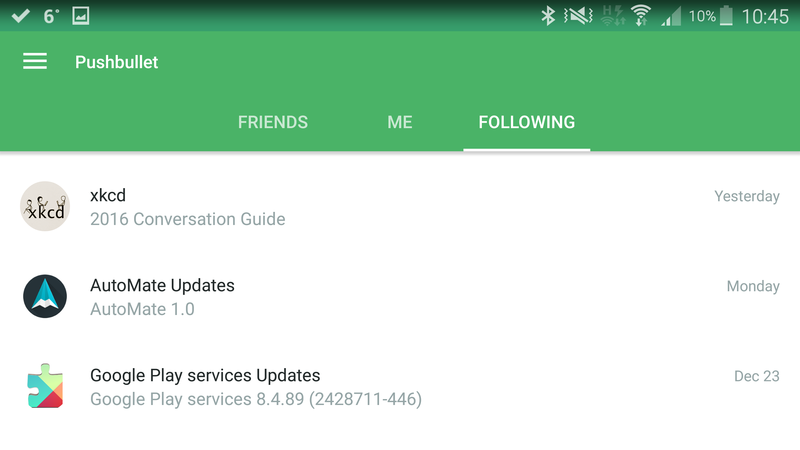 Juice SSH is free on Google Play but offers an in-app upgrade for additional functionality. At around £4 it is one of the more expensive apps I’ve purchased in a while, but the added options to sync between devices (AES-256 encrypted, though I only sync connections, not credentials), store and execute command snippets and change the console theme felt worth the investment. Even if £4 is a little too much for your taste, the full-colour terminal (particularly appreciated by me in VIM), plugin support, session transcripts, key management and local console (ie, Android) support should make Juice worthy of consideration. Free vs Pro features in detail are outlined here. Be sure to also check out the 3rd party plugins. I’m fond of Performance Monitor. Juice SSH is available for free on the Play Store with an optional in-app purchase once installed. Another controversial one considering their recent transition to Pro subscriptions, taking free features from users and forcing them to pay a monthly fee in order to get them back. To note: I’m strongly against the route they took to generate revenue and will not subscribe on principle until, at the very least, the features they removed are added back to the free version. It’s also vastly overpriced for the functionality it offers at $4.99 a month. I’m not going to dwell on that however and until Join matures I’m quite happy with the free version, even with the limitations now in place. Pushbullet free allows the sending of links, files up to 25MB, 100 messages a month (SMS, WhatsApp, etc) and mirroring of notifications from one device to another (be that phone to phone or tablet to PC). All of this can be optionally encrypted. It’s the API access and Channel subscriptions however that really makes Pushbullet useful to me. Yes, it’s nice to see a message pop up on my laptop without having to touch my phone (although I enjoyed replying to these messages on my laptop, this has been removed), but an awful lot of solutions I use integrate Pushbullet notifications to alert me to new downloads, updates and more. In addition, subscribing to channels allows me to know when Kimsufi have the dedicated server I want (they drip-feed them as and when they’re available) or the latest XKCD is published. Pushbullet has improved inter-device communications and allowed me to keep on top of the things I want to be notified on. It’s a great app for what it does, ignoring the controversy around it. Pushbullet is available for free on the Play Store. A shorter list than previously, but these have been the apps I’ve been most reliant on in 2015 in addition to many in the lists I published previously. Thank you for reading and I hope to welcome you back to the website for more articles in 2016.